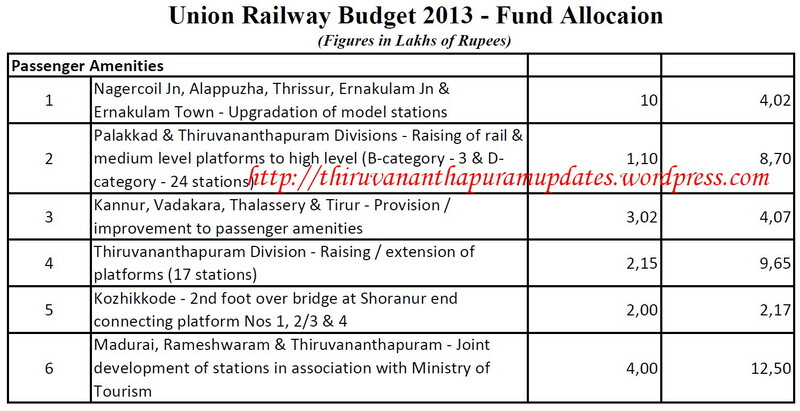 Union Railway Budget 2013: What Kerala Gained? 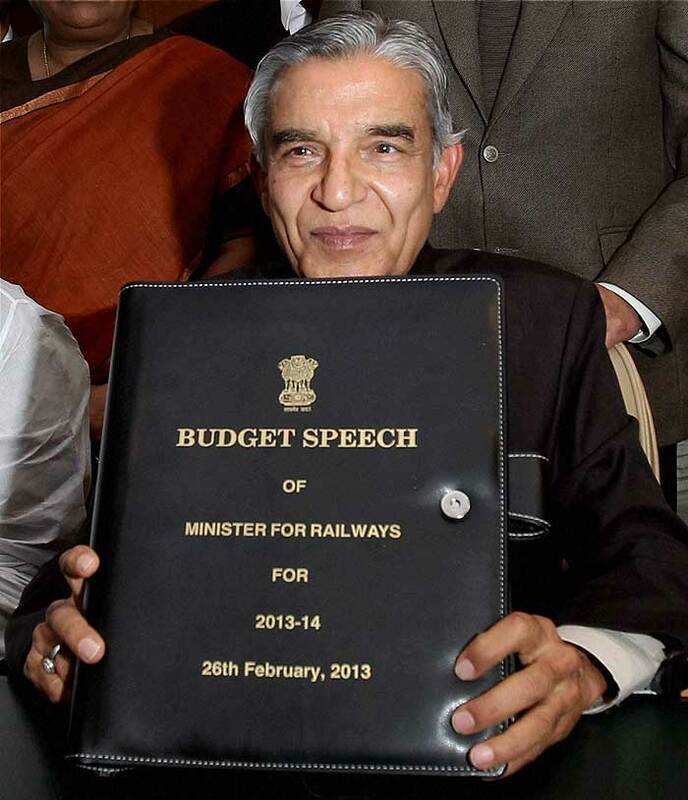 Union Railway Minister Shri.Pawan Kumar Bansal presented the Railway Budget for the year 2013-2014. Was there any gain for Kerala in this budget? Lets have a look ! 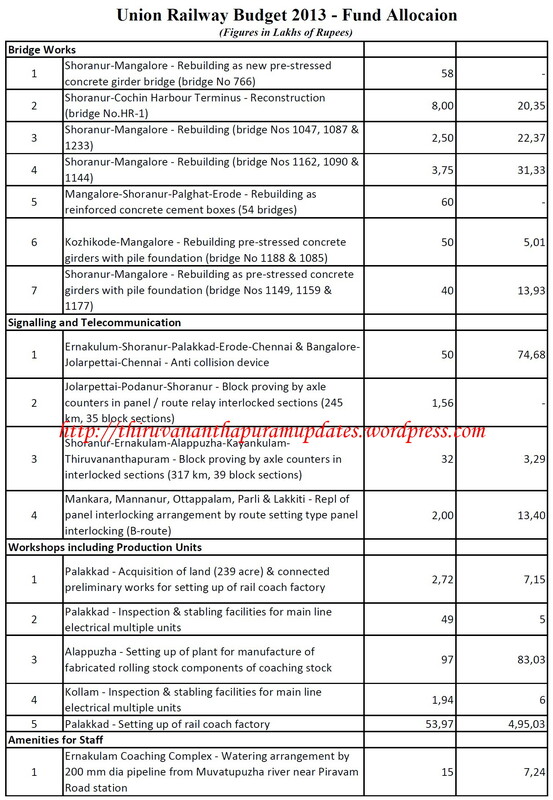 In the budget speech, minister mentions “As regards setting up of new coach factories at Palakkad…….we are in consultation with respective state governments. I am hopeful of early commencement of work.” The minster also announced that a Skill Development centre will be established at Kollam. 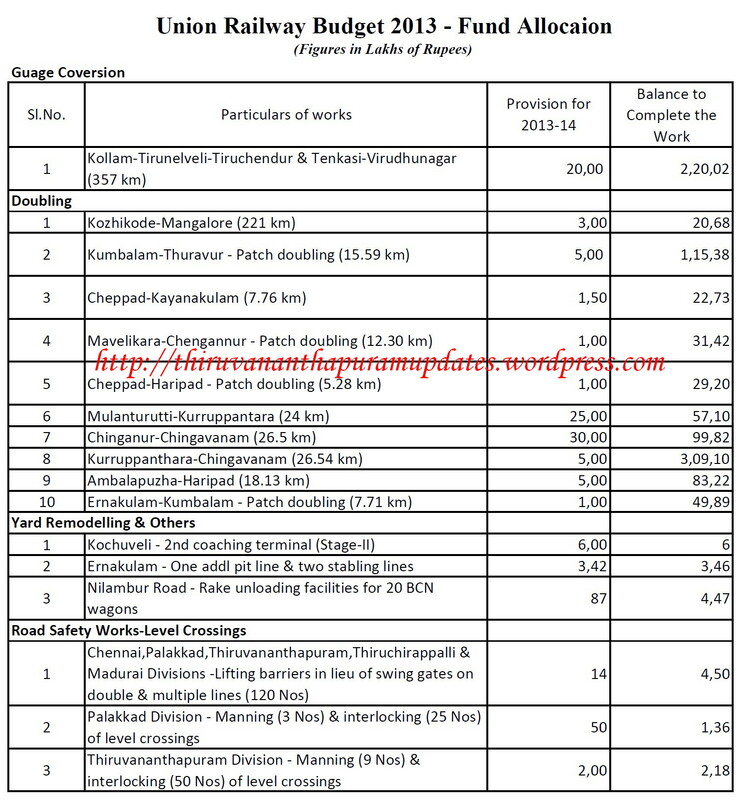 No proposals made for new lines, no new proposals for doubling;but announced the survey for Shornur-Mangalore 3rd line. Eventhough the following trains are starting/terminating at Nagercoil & Kanyakumari respectively, it is also useful for Kerala, especially those from Thiruvananthapuram. The frequency of 12217/12218 Kochuveli – Chandigarh Express increased from 1 to 2 days. 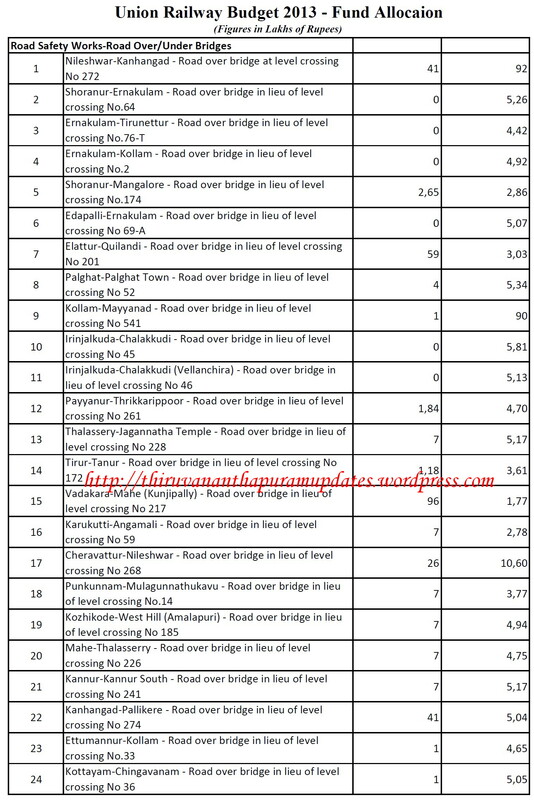 It is also announced that the Guage Conversion of Meenakshipuram – Palakkad section and Doubling of Chengannur – Thiruvalla and Piravom Road – Kuruppanthara sections will be completed during 2013-2014. 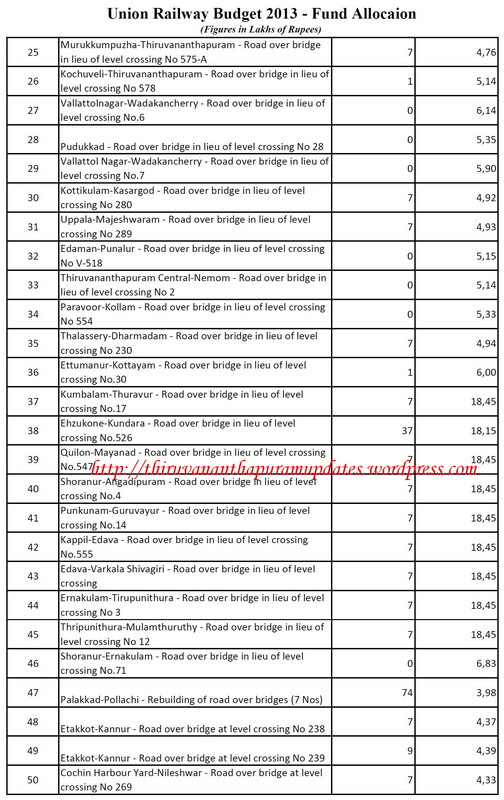 This entry was posted in Infrastructure, News, Railways and tagged Bangalore, chandigarh, chengannur, ernakulam, guwahati, indian railways, kacheguda, kanyakumari, kochuveli, kochuveli railway terminal, kollam, kozhikode, lokmanyatilak, Madurai, mangalore, nagercoil, palakkad, puducherry, punalur, punalur passenger, railway budget, railway budget 2013, railway infrastructure in thiruvananthapuram, railway infrastructure in trivandrum, railway projects in thiruvananthapuram, railway projects in trivandrum, shornur, thiruvalla, Thiruvananthapuram, thiruvananthapuram central railway station, thiruvananthapuram railway station, thrissur, Trivandrum, trivandrum central railway station, union railway budget, union railway budget 2013, visakhapatnam. Bookmark the permalink.